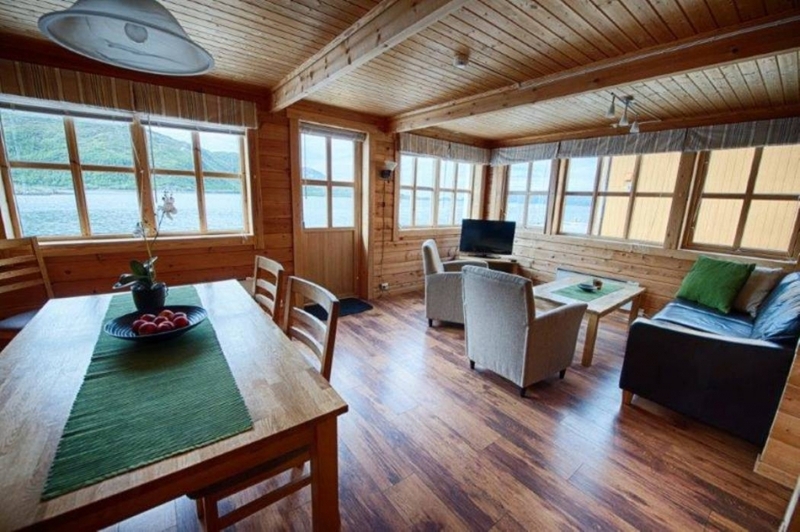 Your cosy cabin on “Kvaløya” which translates as Whale Island overlooks this fjord and mountain panorama where you can enjoy relaxation and outdoor adventures in the measure that suits you best. 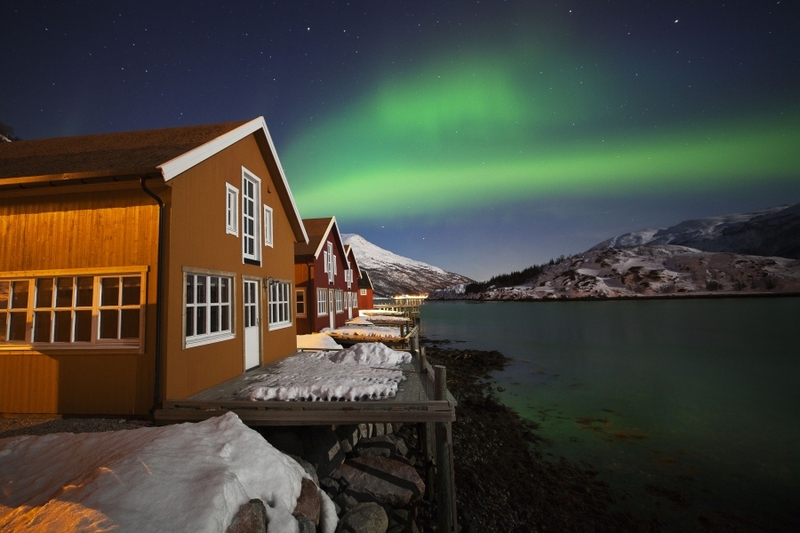 Your hosts Andreas and Hanna are third generation owners of the six fisherman cabins which perch on the water’s edge in a perfect position to view appearances of the elusive and beautiful Aurora. 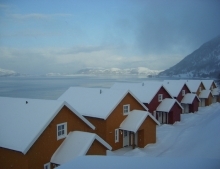 This holiday is designed around your requirements and is located 40 minutes from the city of Tromso in Northern Norway. Arrival in Tromsø and transfer to your cabin at Kattfjord. Your private transfer takes around 40 minutes and includes a stop at a local supermarket so you can pick up supplies on the way. Alternatively, we can arrange delivery of meals to your cabin. 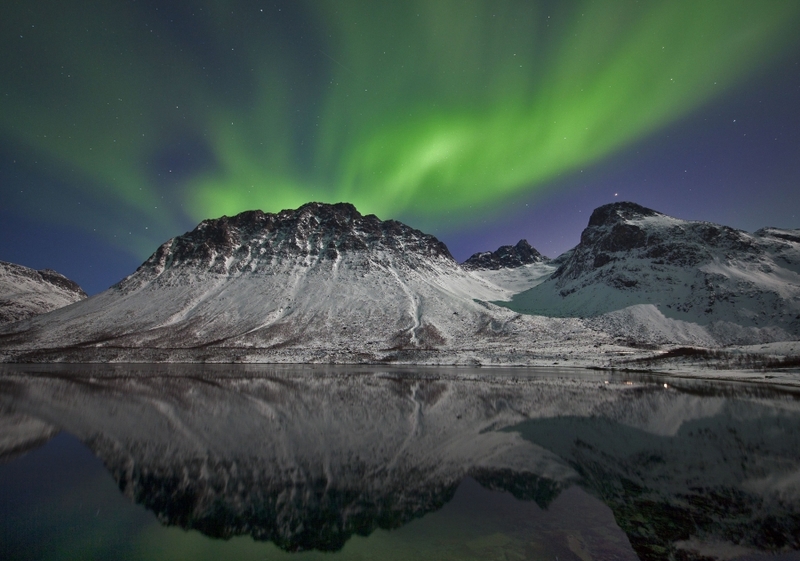 Look to the dark skies for appearances of the Northern Lights at night time. There are only six cabins and a handful of people around you so we can almost guarantee peace and quiet. 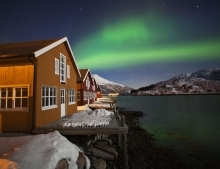 The cabins overlook the fjord where in winter time, the Aurora treats guests to spectacular displays over the water and mountains, unperturbed by city lights. You'll be warm and cosy in your cabin whatever the temperatures outside. Today we recommend a guided snow shoe walk during the daytime followed by a search for the Northern Lights after dark. Activities are not included in the holiday price and we will provide a detailed quote and itinerary based on your wishes. Another day for outdoor adventures or relaxation. 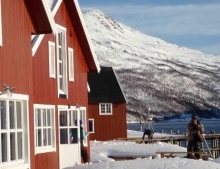 Why not visit a reindeer farm and learn about the local Sami heritage or enjoy the day dog-sledding across the wilderness. 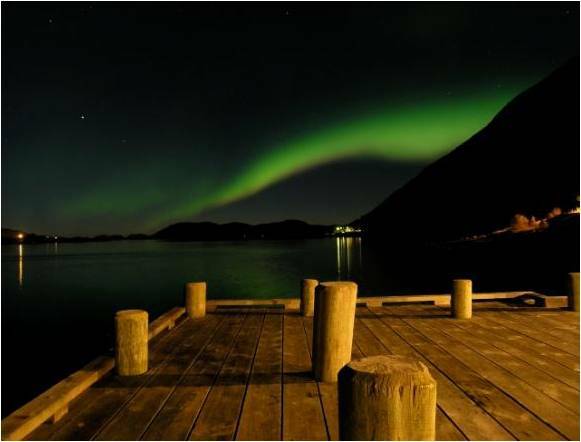 Or perhaps you'd prefer to simply relax and enjoy the fjord views. Transfer to the airport and return. 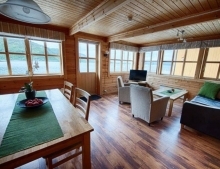 Alternatively why not add extra nights at the cabin or extend your stay with a night at a wilderness camp or travel to another of Norway’s stunning destinations. The team will be happy to tailor your holiday. Please get in touch with us for a detailed price quotation for your group, flight prices and to check availability for your preferred travel dates and choice of activities. Child prices are valid when sharing with two or more adults. From £635 per person (based on two travelling). Group prices are available. The holiday will be tailored to your requirements and preferred number of nights. Children 12 years and under stay for free. This location is so very peaceful - we'd thoroughly recommend renting snow shoes or kick-sleds to explore the surrounding area. by Daryl Cockerill, Loughborough on Feb 01 . What a professional company, everything we wanted and more. Firstly this is the best app we’ve used to manage a holiday, very easy to use and very comprehensive. Well done to you. The Lauklines Kystferie cabins were spacious, warm and perfect for seeing the northern lights. A fantastic location, best ever. The staff (Tim) were friendly and informative. 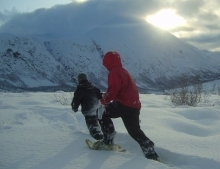 The trips were magical, we went on dog sledding, snow mobiling and winter fjord cruise, on everyone of them, the staff were friendly, informative and very professional. They kit you out appropriately for the weather conditions. Very snug! Transfers to and from Tromsø airport were smooth, they even went out our way to take us to the airport after a trip. We were lucky to see the northern lights on all four nights and my son who is a keen amateur photographer has taken some amazing photos for us to treasure for ever. We had an amazing time and would definitely recommend this place and holiday company to all friends and family. by Debbie Lambert, West Sussex on Jan 20 . We normally holiday in the sun at Christmas time, however someone had recommended a trip to the cabins, through MN. Who were brilliant.The cabins have all you need, roomy and well equipped, the setting is amazing. We didn't see any whales sadly,but we did see the northern lights,.twice, which was wonderful. Transfers very good and on time. Combined with time in Tromso and Oslo we had a wonderful holiday. I'm not sure if we will holiday in the sun in winter again, the snow looks to be our new destination. by Julie Whitehouse, Nottingham on Jan 06 . Magnetic North Travel were wonderful. Friendly and professional and I would definitely use them again (in fact I've already told friends about them). We chose to go to Norway for the first time and everything about the holiday was organised from start to finish for us and we had to worry about nothing. Due to the nature of the holiday some activities had to be cancelled or changed due to the weather but we were always kept informed ASAP about these via email, which meant that we weren't waiting around needlessly. We also got a full refund for the activity that was cancelled very quickly. Magnet North Travel were also there to help with suggestions of other activities which helped a lot. Overall, very happy with Magnetic North Travel and their service and would definitely use them again. by Laura, Shrewsbury on Dec 03 . Just back from a brilliantly organised and paced 5 day trip to northern Norway. All transfers and bookings worked perfectly. We stayed with interesting, passionate local people and met several other like-minded travellers. The weather wasn't great and I was prepared for disappointment but the whole experience was amazing. The highlight was an overnight stay in Camp Tamok. 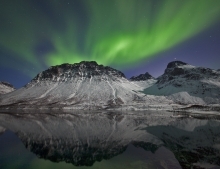 The guide managed to produce several sightings of the Northern Lights despite overcast skies, even knocking on our door at 3am when they flared up again. 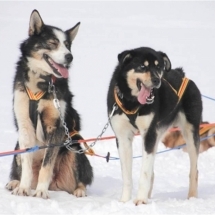 And the husky sledding the next morning was unforgettable. The service from Magnetic North was excellent from start to finish - both over phone & email. And the travel app they provided for the trip was invaluable. Great value for money. Thank you. by Dickie Connell, London on Nov 30 . The best travel agency I have ever used! Angela Hewitt paid attention to the small detail to ensure we had a relaxing time during our arctic adventure. 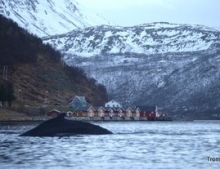 She clearly had local knowledge, which meant we could make the most out of the short break in Northern Norway. Kvaloya island is the perfect if your looking for snowy winter outdoor fun and we even saw the aurora from our cabin on Christmas Day. The whale watching trip was a once in a lifetime experience. I was expecting to see one or two but were surrounded by both orcas and humpback whales. Can't wait to go back and use Magnetic North travel again. ???? by Annelie Preiss, Edinburgh on Jan 13 . Hello! we loved the trip! Everything was settled for us, and we merely had to be there to enjoy our holiday. 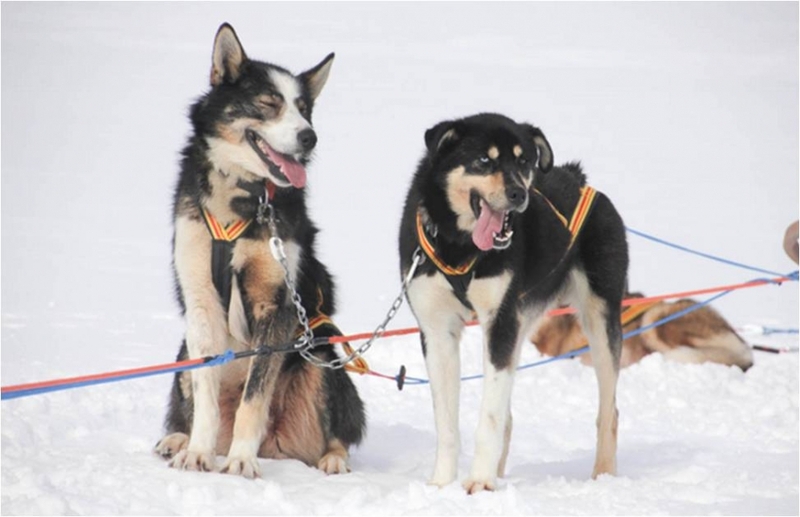 The dog sledding activities were fun, however the organizing company did seem a little disorganized. by Michael Khoo, Singapore on Mar 01 . 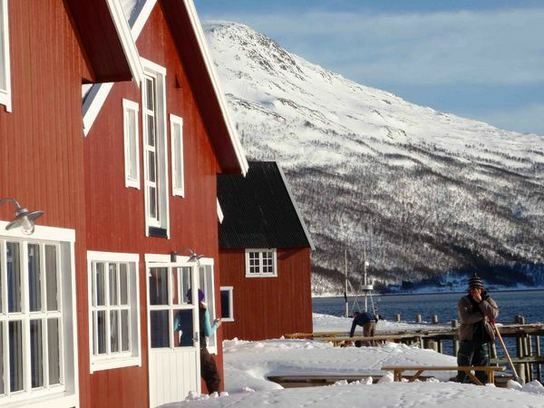 Thank you so much to Angela and the team at Magnetic North for organising a fantastic 40th birthday holiday to Tromso! The fisherman's cabin was in the most beautiful location on the side of a fjord and the dog sledding and northern lights photography course were amazing - we were lucky enough to view the aurora from a remote beach at midnight which was an incredibly special moment. Can't recommend it enough! by Kirsty, Southampton on Feb 27 .
by Kerry Allwood, Nottinghamshire on Mar 30 . First: all the admin, info, maps, planning in advance was perfect and smoothe. Your personal involvement was critically important - we had a real person to talk to! We got there under freak weather conditions but we survived. The car pick up at Tromso was a doddle and the cabin was really amazing. We arrived in a terrifying blizzard, but we had to turn the heating DOWN. My oh my we loved that cabin, all through our week. Andreas the owner was really helpful, both with info and digging us out of the ice without saying "silly Brits". Trudi was so friendly and helpful made us feel really welcome. We saw the lights only once though we were told the weather at New Year was not typical. However the whole island was wonderful and we got loads of great photos though the early dark descending tapped into my melancholy side, despite the great novels I brought! But I knew this beforehand, so it is my responsibiltiy alone. by W Bramley, London on Jan 09 . 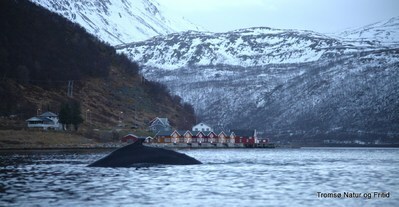 We had a great long weekend in Tromso, everything was pre-arranged and ran smoothly. Staff checked up on us regularly by email and even helped to rearrange a unexpectedly cancelled activity with a different provider. The location was amazing - we saw plenty of falling snow, whales, and the northern lights right from the cabin! by Rosie Yates, Melbourne on Dec 08 . We all had a fantastic time in Norway. All the arrangements went very smoothly and the accommodation was utterly fantastic. Our three boys keep asking when we are going back! And we even got to see the Northern Lights. Thank you for all your help – it truly was an amazing experience. by Ian W, London on Oct 21 .